WALTHAM, MA--(Marketwired - November 25, 2014) - Elsevier, a world-leading provider of scientific, technical and medical information products and services, today announced the addition of seven new books to its food science portfolio. These include Handbook of Food Allergen Detection and Control, edited by Simon Flanagan, High Throughput Screening for Food Safety Assessment, edited by Arun Bhunia, Moon Kim and Chris Taitt, and Feeding Everyone No Matter What: Managing Food Security After Global Catastrophe, authored by David Denkenberger and Joshua Pearce. Allergens in food and their detection, management and elimination constitute a key issue for food manufacturers. Handbook of Food Allergen Detection and Control reviews current and emerging technologies, as well as issues such as safety, traceability, regulation and consumer attitudes. Editor Simon Flanagan, Senior Consultant, Food Safety at Reading Scientific Services Ltd., has worked in various sectors of the food industry for more than twenty years. His experience spans the beverage, agricultural and infant formula sectors. High Throughput Screening for Food Safety Assessment summarizes the latest research and applications of sensor technologies for online and high-throughput screening of food. It is a comprehensive reference for R&D and quality control managers in the food and biosensor industries; food engineers working on the development of detection methods; microbiologists and regulatory agencies; and postgraduate researchers and academics with a research interest in the field. The third book, Feeding Everyone No Matter What: Managing Food Security After Global Catastrophe, written by David Denkenberger and Joshua Pearce, presents a scientific approach to the practicalities of planning for long-term interruption to food production. The books are available on the Elsevier Store and on ScienceDirect, Elsevier's full-text scientific database offering journal articles and book chapters from over 2,200 peer-reviewed journals and more than 25,000 book titles. Review copies of the books are available to credentialed journalists upon request. Contact Michelle McMahon at m.mcmahon.1@elsevier.com or +1 781 663 2268. About this company Elsevier, Inc.
From High Throughput Screening for Food Safety Assessment , Chapter 2, Figure 1: Thinking holistically about microbial detection. Getting from an unknown food or environmental sample to an answer is not accomplished in one fluid step, but requires an integration of at least three key elements: sampling, cell separation, and concentration (sample preparation), followed by labeling and detection. Each element depends on the success of the previous "upstream" procedure. In an ideal, holistic detection scheme, each element will be optimized for success and all will work in concert to facilitate detection of target pathogens. 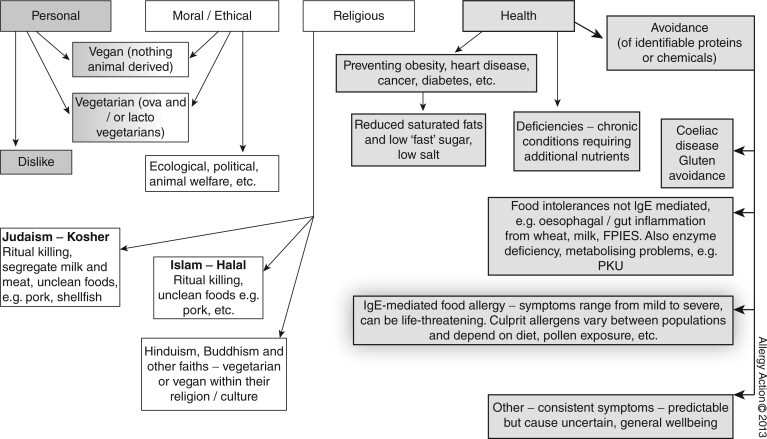 From Handbook of Food Allergen Detection and Control, Chapter 7, Figure 1: Which consumers are avoiding foods and why? To understand consumer attitudes to allergens in foods, it is necessary to appreciate who is avoiding which foods and why. 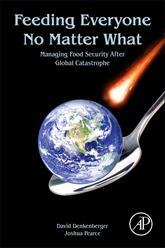 Feeding Everyone No Matter What: Managing Food Security After Global Catastrophe, written by David Denkenberger and Joshua Pearce, presents a scientific approach to the practicalities of planning for long-term interruption to food production.